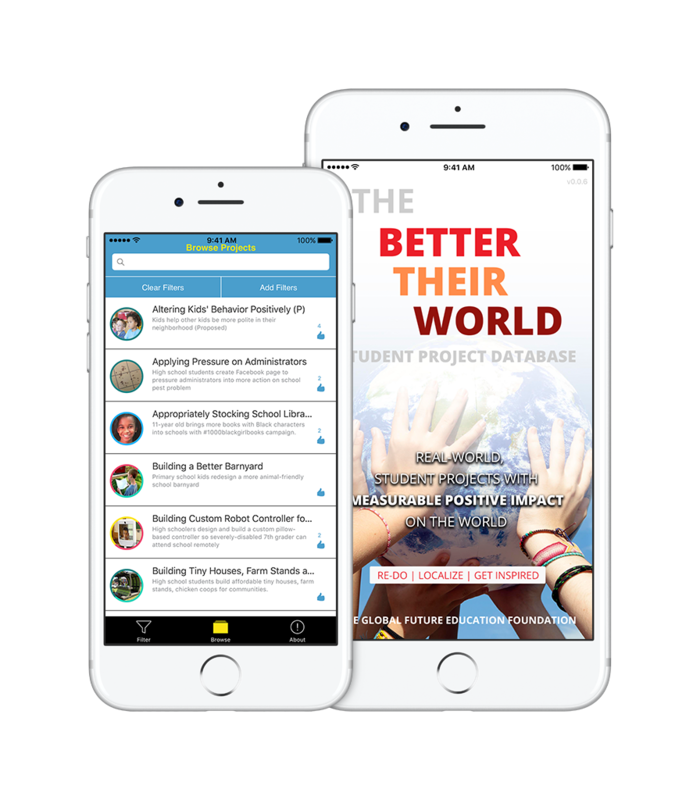 The Better Their World Student Project Database is a curated, freely-available listing of completed & potential real-world-projects with MEASURABLE POSITIVE IMPACT on the world. 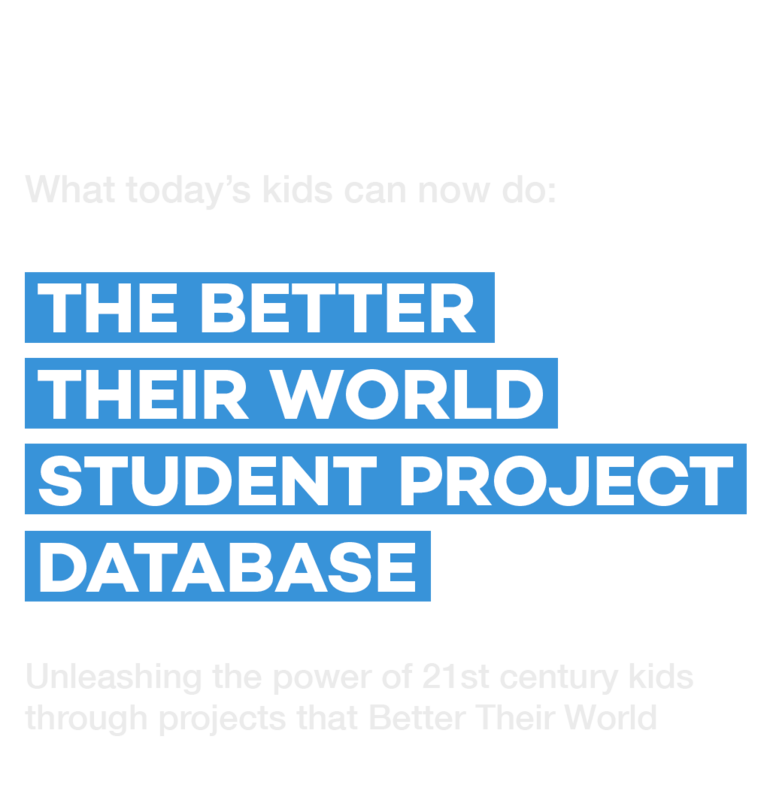 The projects in the database are intended to stimulate students’ and teachers’ thinking about what today’s students can accomplish in the world. .TRY IT and GET INSPIRED!. View Instances of the Power of 21st Century Kids — Unleashed in Multiple Directions! Scroll though the completed projects to see what kids of all ages have already done to Better Their World. Click on any project to see details, including for many, a video. Click “Add Filters” in upper right to apply conditions to the list. You can also use the buttons at the bottom to navigate. Do you know of additional student projects with Measurable Positive Impact on the World? Also available as an app for iOS and Android! a not-for-profit 501(c)(3) corporation dedicated to promoting and spreading CIVILIZATION-LEVEL CHANGE IN EDUCATION through EMPOWERMENT TO BETTER THEIR WORLD — a new and better alternative vision of education for young people in the third millennium. 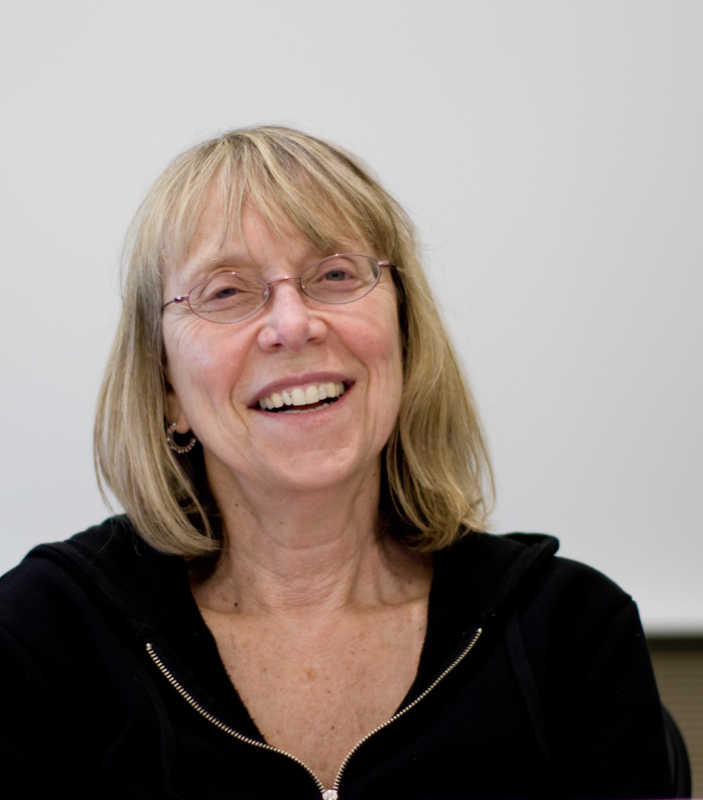 Esther Wojcicki has been a teacher at Palo Alto High School for 34 years, during which time she created a world-renowned journalism program and received numerous awards. Her mission is now transforming education for the 21st century. 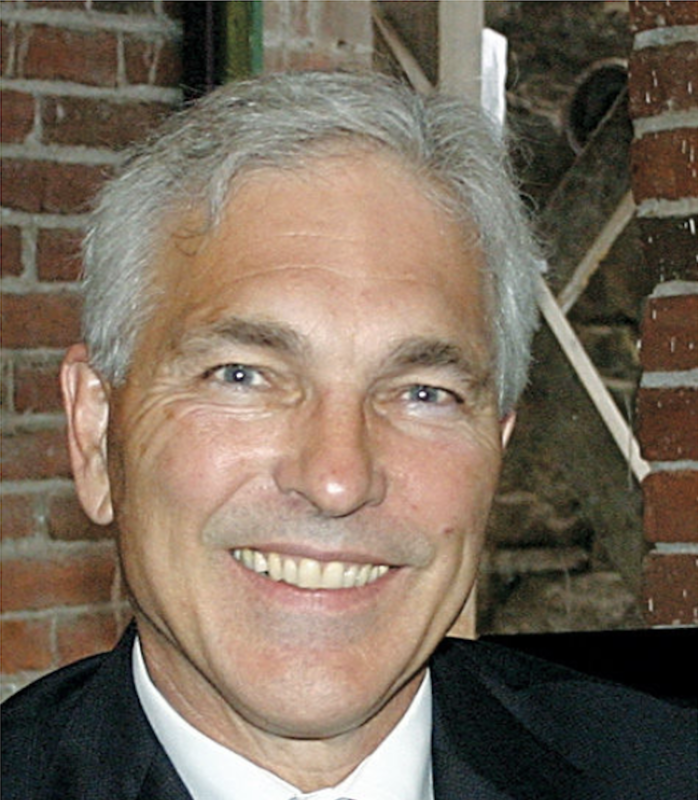 David Engle, a former superintendent and principal, focuses on integrating schools, education and communities. 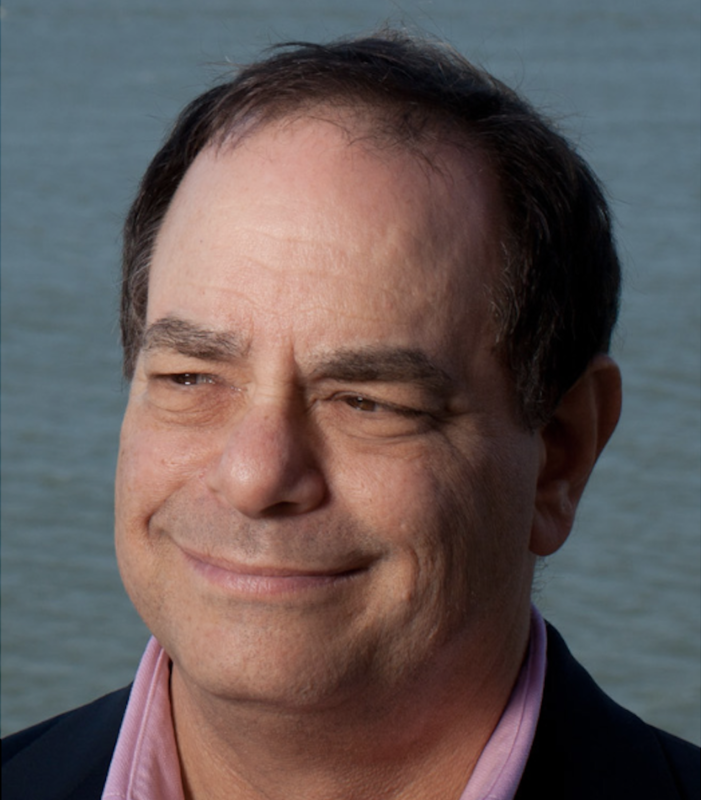 In 4 years as the Superintendent of Schools in the Port Townsend Public School District in Washington State, David totally transformed the formerly isolated schools into a highly integrated school/community system. David’s educational philosophy was honed through education administration roles including 3 years as Superintendent of schools in North Platte, MO, an Executive Directorship at Educational Testing Service (ETS), 4 years as Principal at Squalicum High School in Washington, and 2 years as Project Administrator for School Transformation at the Seattle Public Schools. David is currently helping other school districts integrate their schools more intimately with their communities.